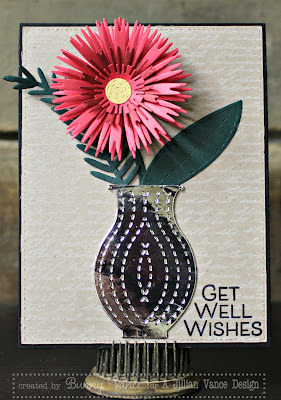 Another great new floral die from A Jillian Vance Design! So many good ones this Spring!! This is the Fringe Flower! 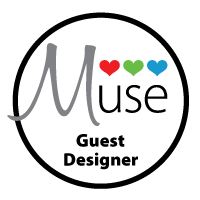 Along with the new Vase Die which was a request from customers at our shows, cut using Silver Mirracard card stock adds elegance!! The Sentimental Script Background Builder Stamp is the perfect backdrop to this silver Vase and fun Fringe Flower! Certainly a cheery Get Well Card with the sentiment from Get Well Wishes Stamp Set! See the A Jillian Vance Design Blog HERE.